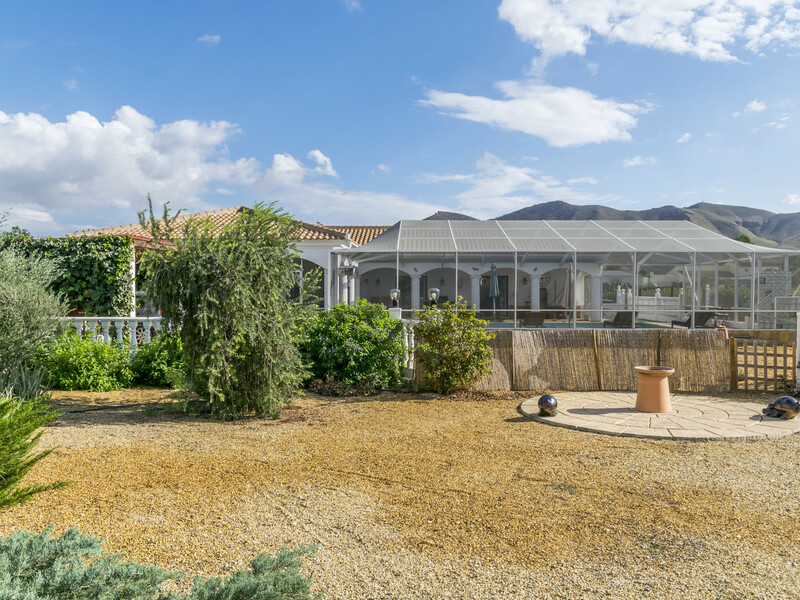 This is a simply immaculate, single-storey, private detached villa with enormous American enclosure over a 10x5 private swimming pool, impressive mountain views and large garden, located in a truly lovely position in a cul de sac of just 3 other detached houses in the village of El Saltador, located just a few minutes drive from the local restaurants, shops and amenities of the bustling town of Huercal Overa. 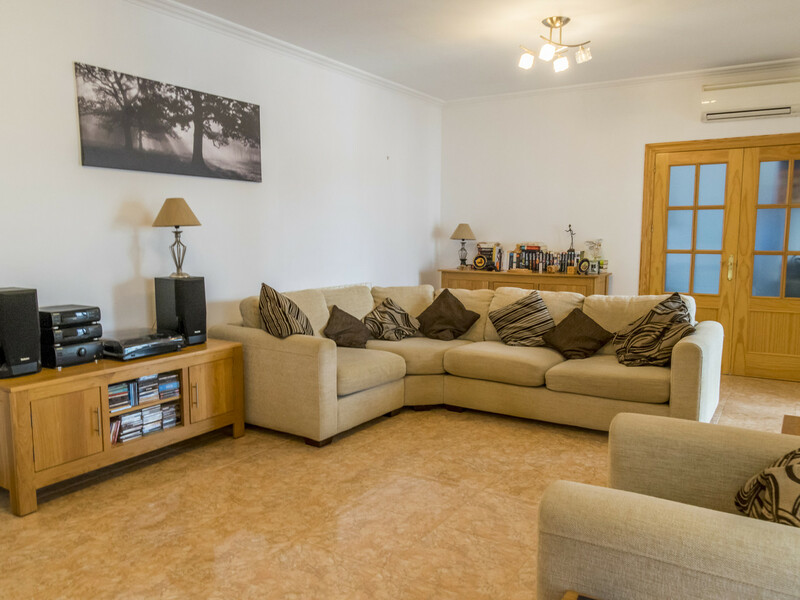 The property is also located less than half an hour from the coast. 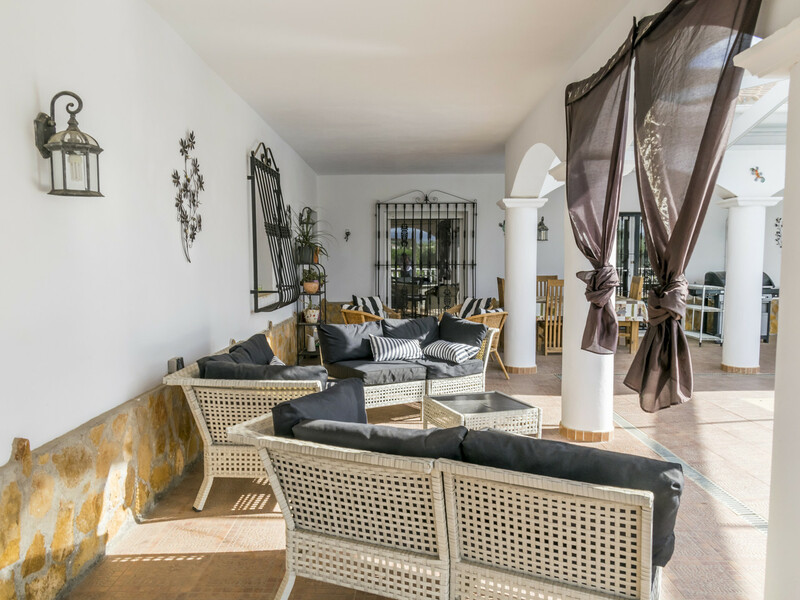 The villa is accessed via large metal double gates which lead into the driveway that follows around to the private ornamental gardens which house the large wooden garden storage shed and paved circular feature with large ornate figures. 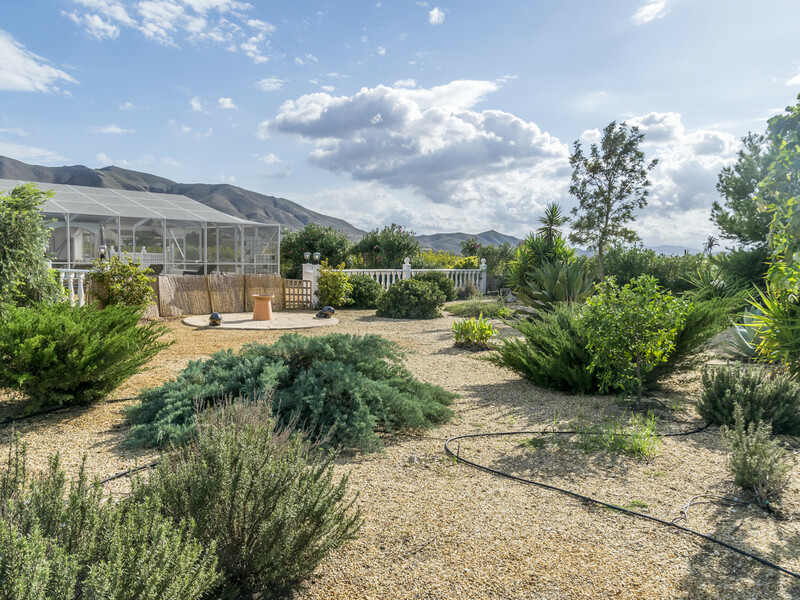 This garden overlooks the adjoining groves of various fruit trees which include olives, peaches along with many others. 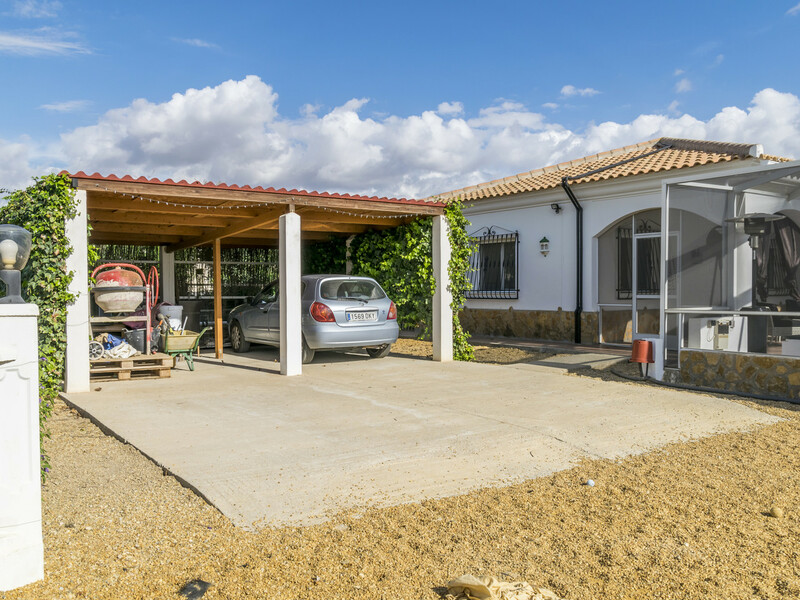 Also from the driveway, there is access directly into the double carport. 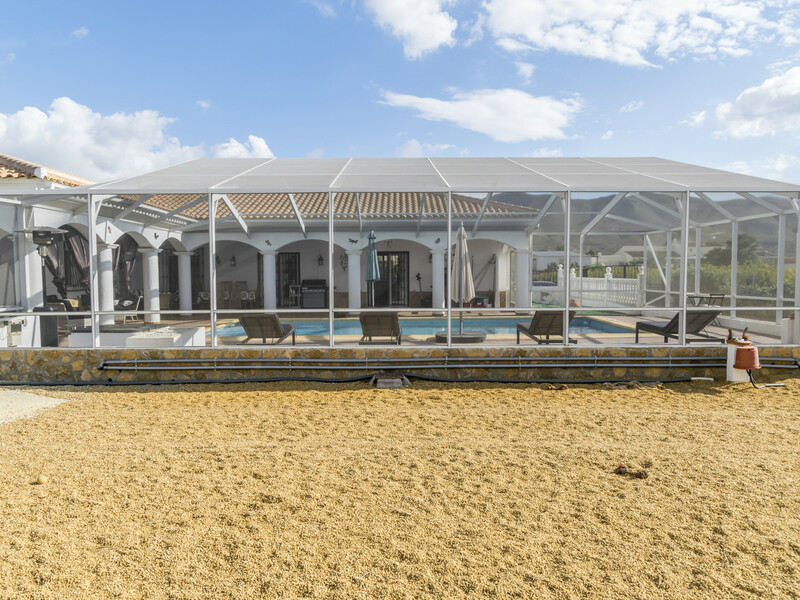 Upon entry into the large solar heated 10 meter by 5 meter swimming pool area that is enclosed by an American fly free enclosure you get an immediate feel for the quality of build and the high level of property maintenance that has gone into this beautiful family sized home. 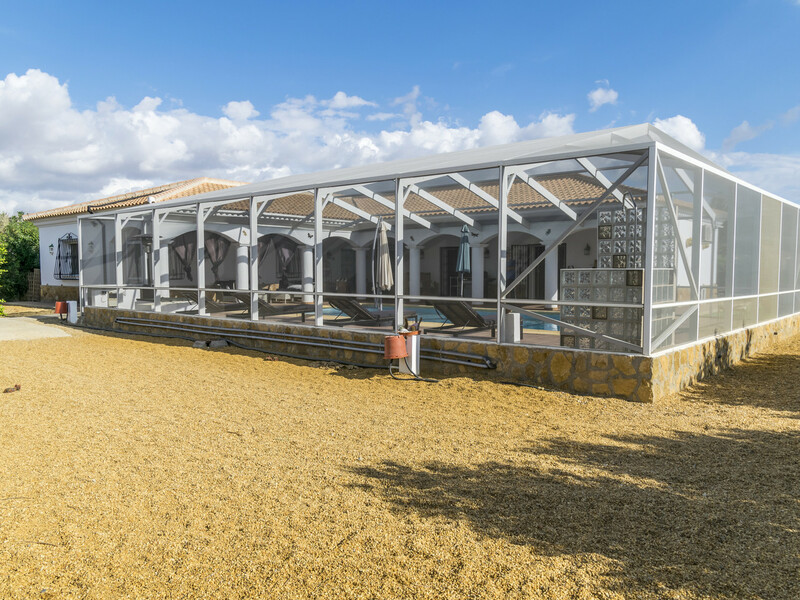 This pool area has a large “L” shaped covered terrace that houses several sofas, dining areas, a roll down projector screen and the mandatory barbecue. 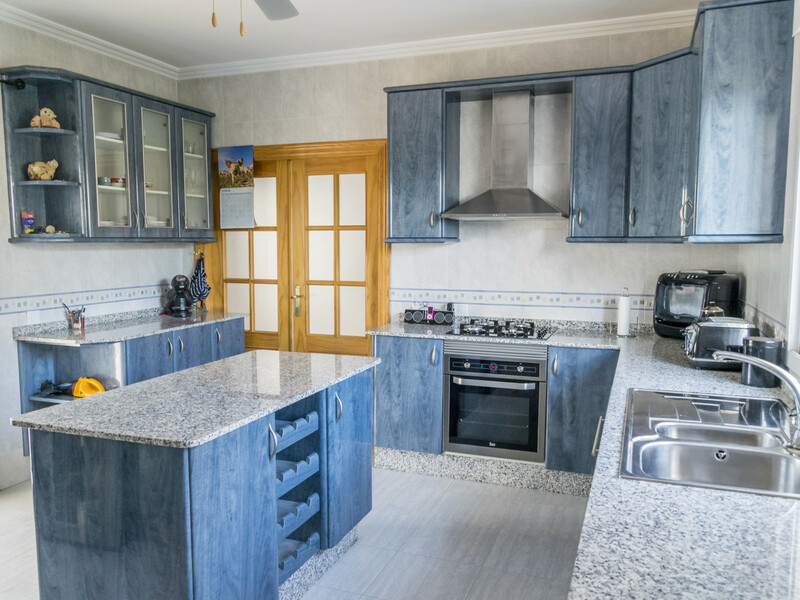 Close to the barbecue area is the entrance into the large well equipped family kitchen that comes with a large selection of quality wall and base units that also features a central island workstation which are all fitted with granite work surfaces and here you will also find an open plan breakfast dining room which is fitted with air conditioning. 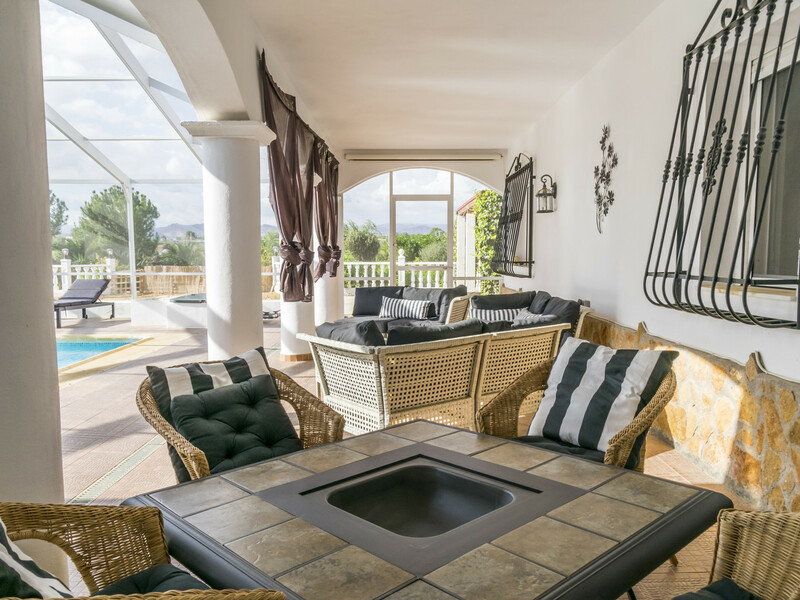 From the kitchen, there is access into the spacious lounge which has a traditional log burning fireplace along with fitted air conditioning and double patio doors leading out onto the pool terrace. 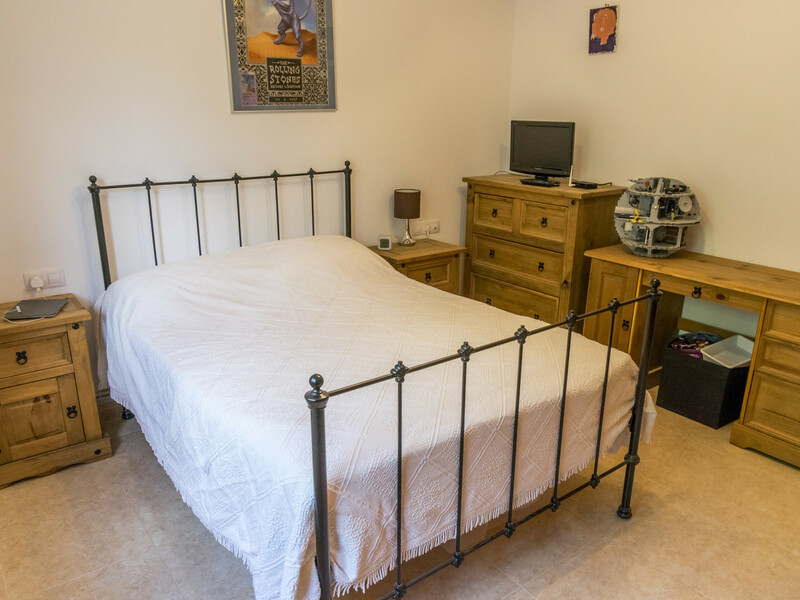 The property features a central hallway that feeds from the lounge room to all of the well-proportioned bedrooms, all of which are fitted with exceptionally large fitted wardrobes with the master bedroom having the additional benefits of fitted air conditioning and an en-suite shower room that has a lovely vanity unit with a Silestone top and there is a heated towel rail. 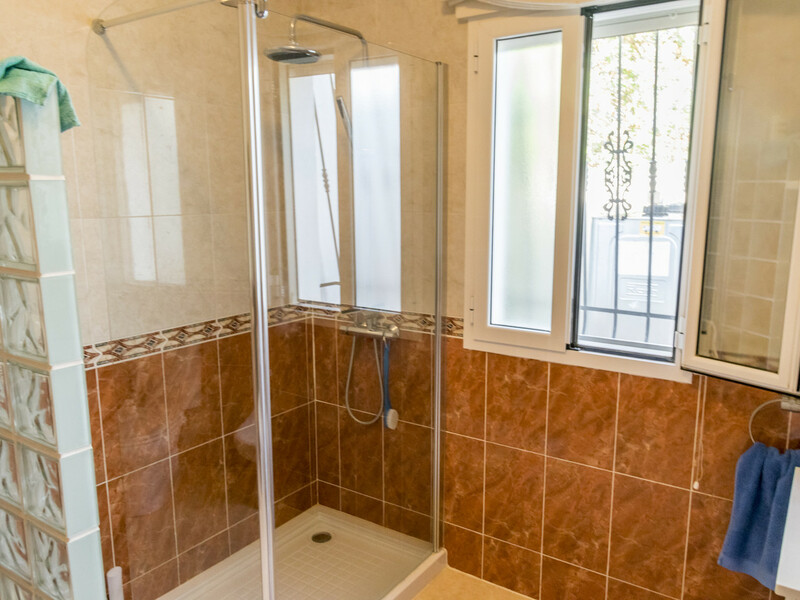 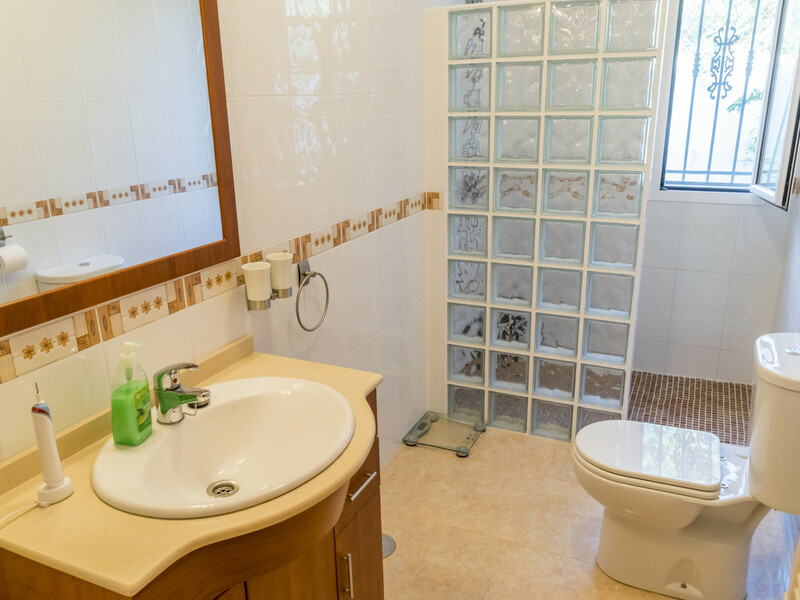 There is a further family shower room that is fitted with high-quality fixtures and fittings and a glass screen and glass block wall to the large shower cubicle along with a heated wall mounted towel rail. 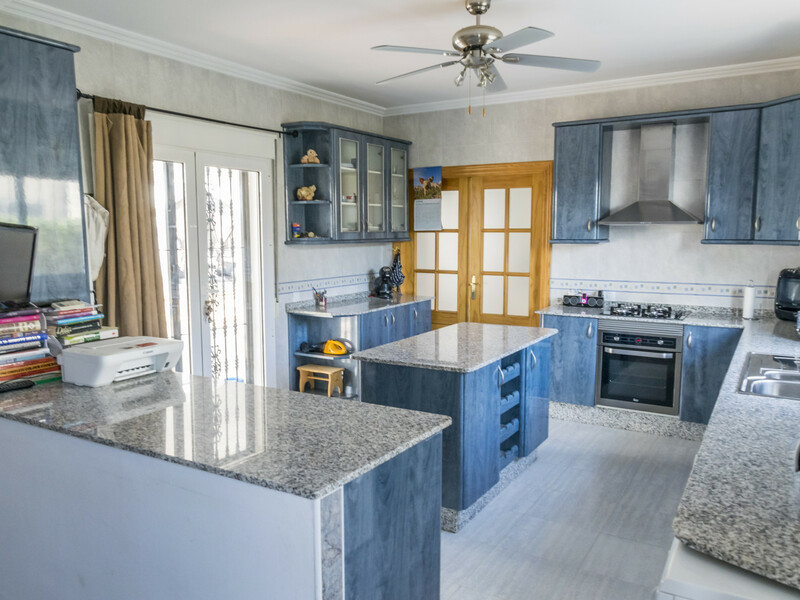 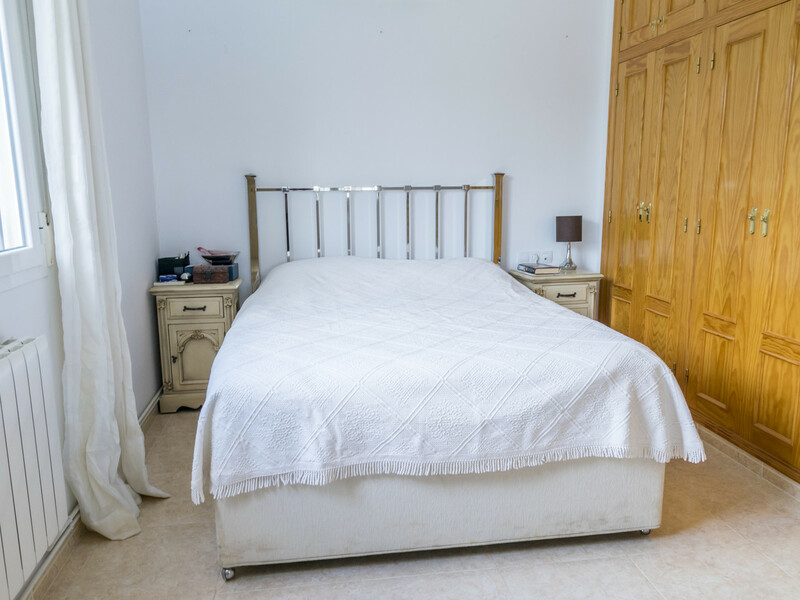 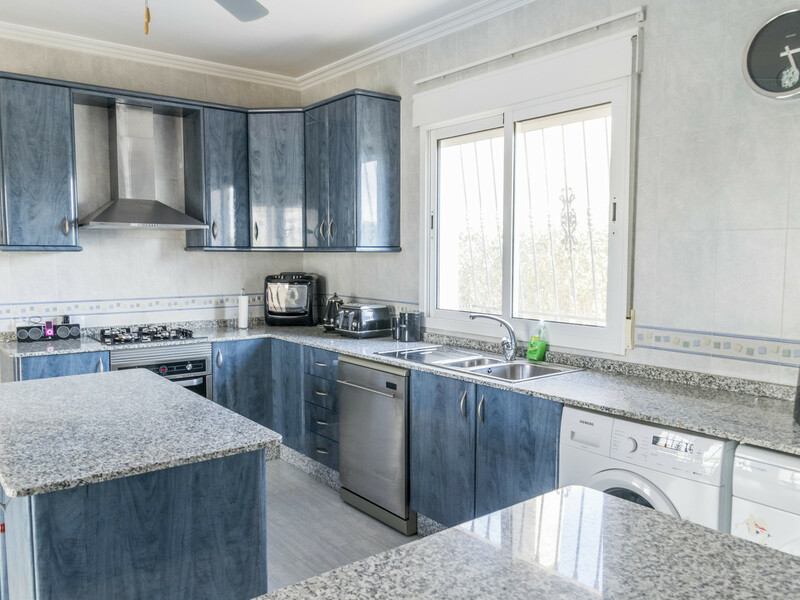 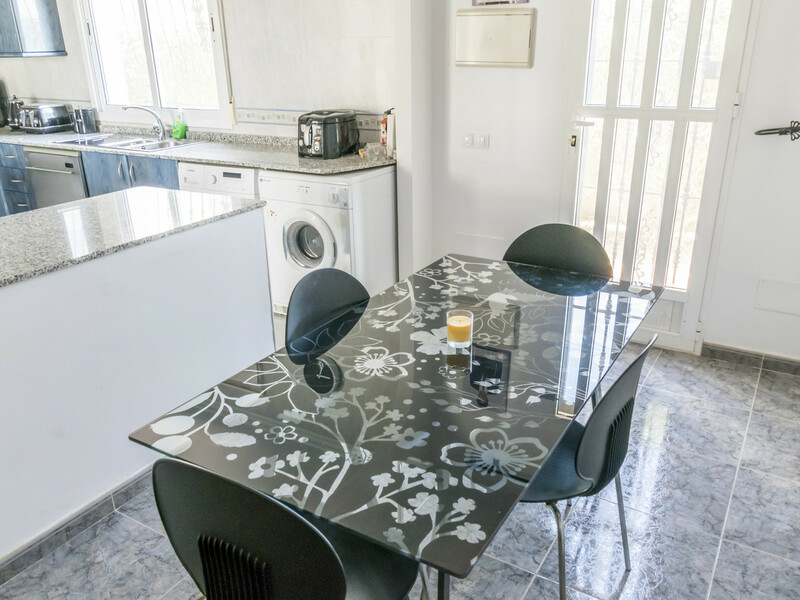 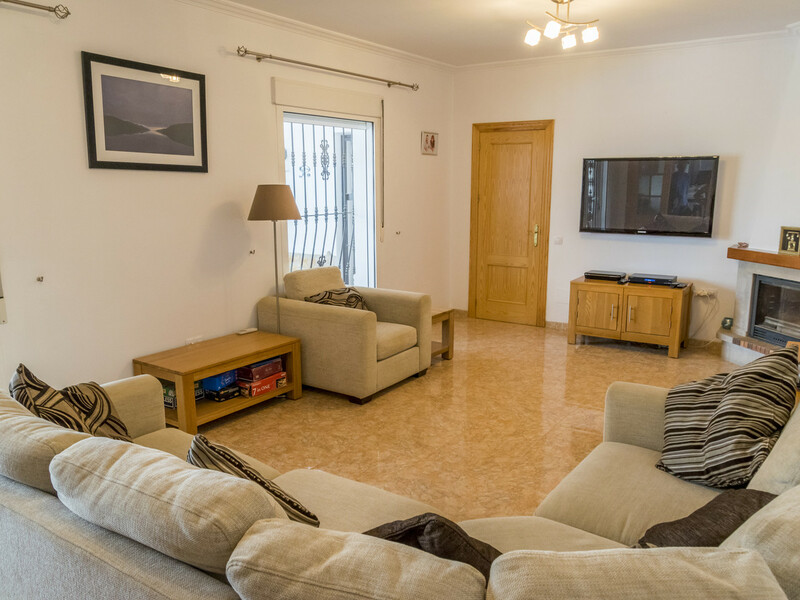 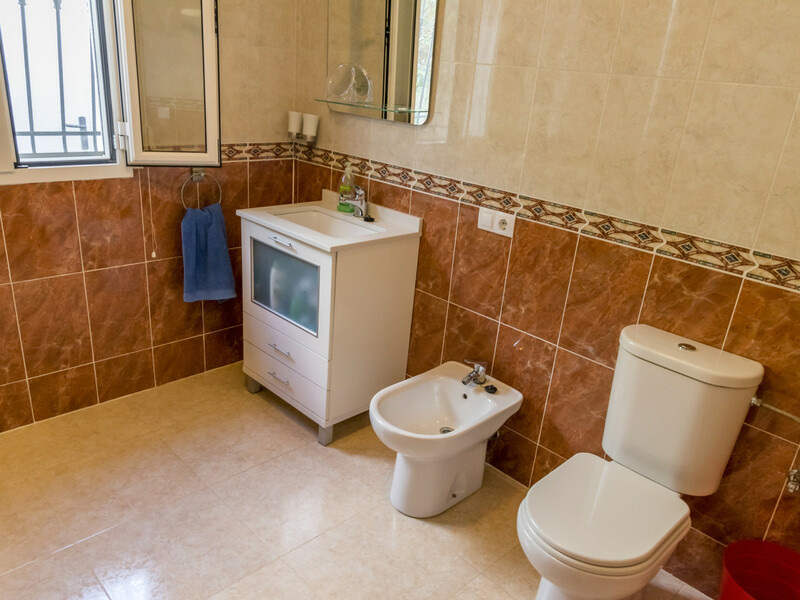 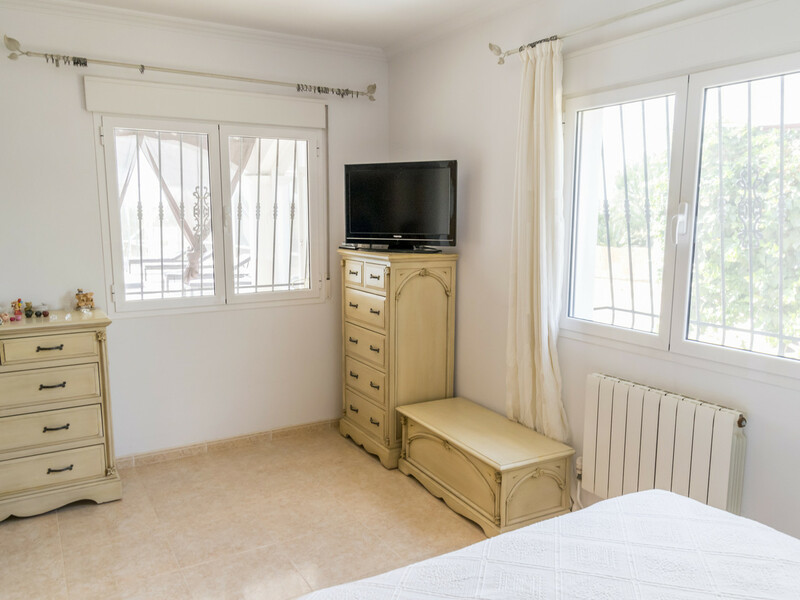 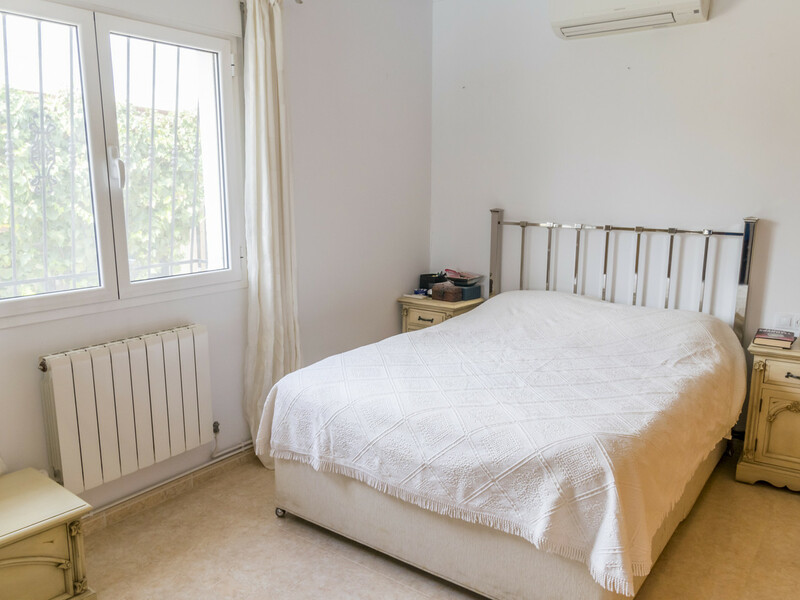 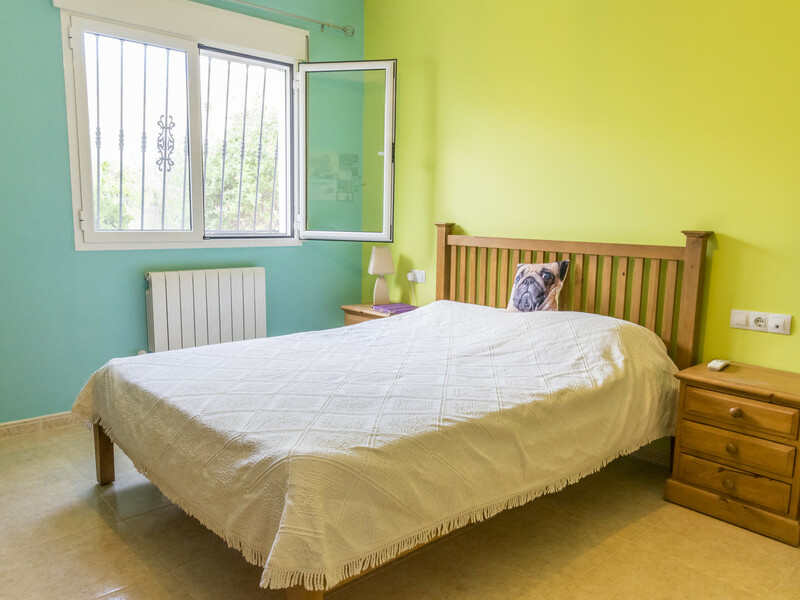 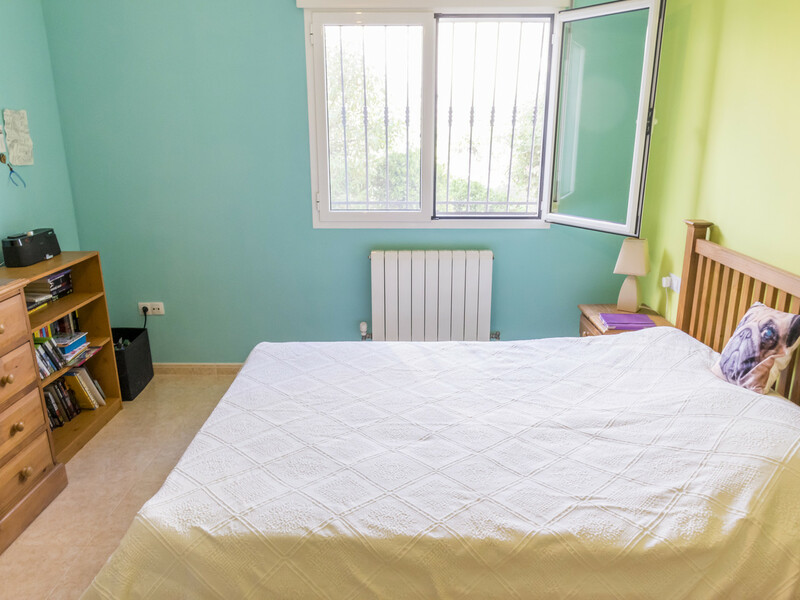 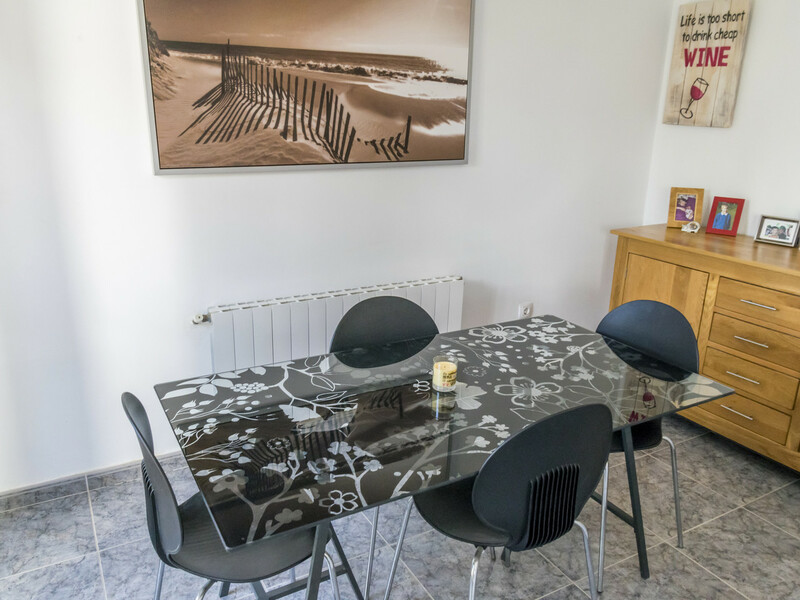 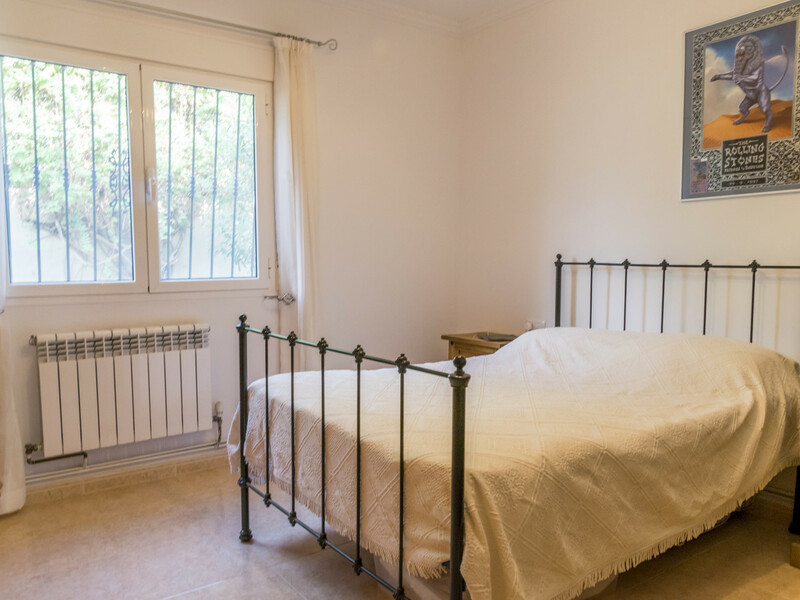 The property comes with fitted coving to all rooms throughout the property, there is full oil fired central heating along with a separate gas fired hot water backup system and with a full water softener unit that purifies all of the incoming water into the villa this house has it all. 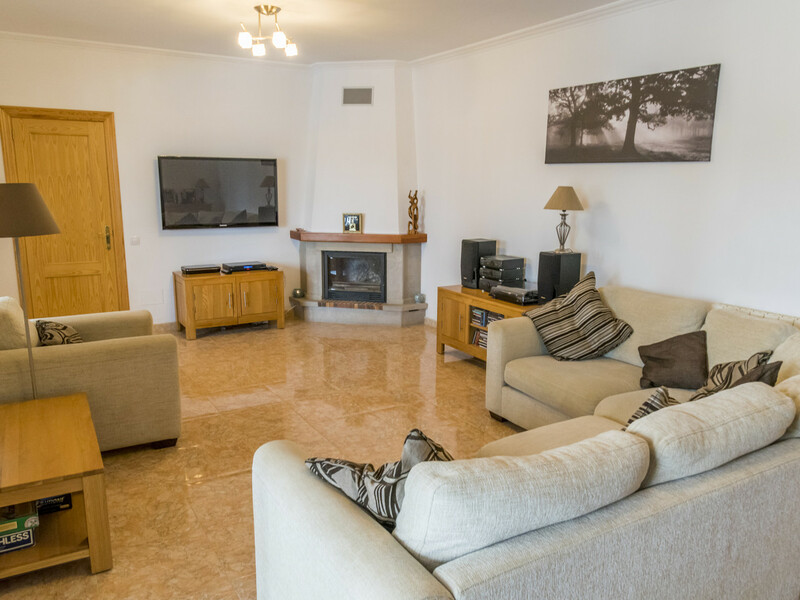 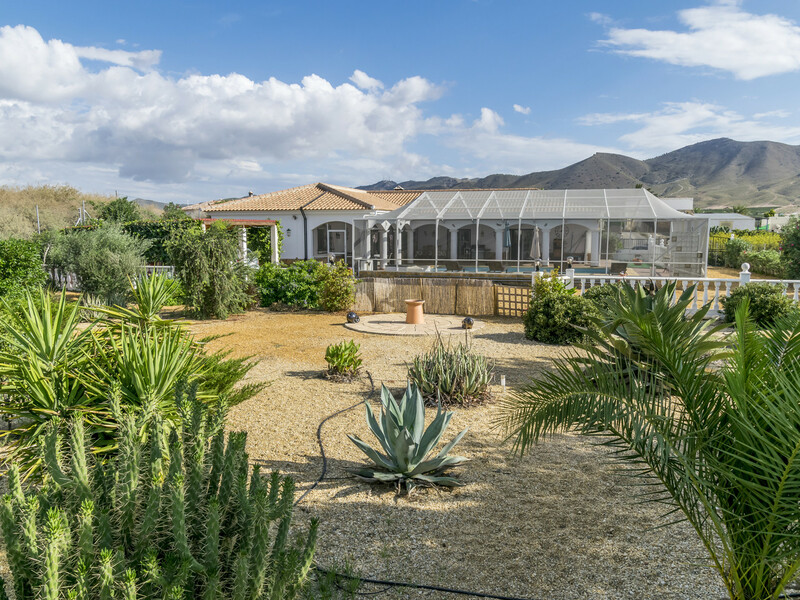 If you are looking for either a retirement or holiday home that gives you the best of everything then this is a must-see villa that needs to be added to your shortlist!